Shelly Sanford attended the University of Texas at Austin where she received a degree in journalism before attending St. Mary’s University School of Law. During her time at law school, Ms. Sanford was the President of the St. Thomas Moore Society and attended UT Law School while she completed a judicial internship with the Hon. Raul Gonzales on the Supreme Court of Texas. After law school, Ms. Sanford worked at the O’Quinn Law Firm in Houston, Texas. In 2001, she joined the partnership of Goforth Lewis Sanford LLP before founding her own law firm, Shelly A. Sanford PLLC in 2007. 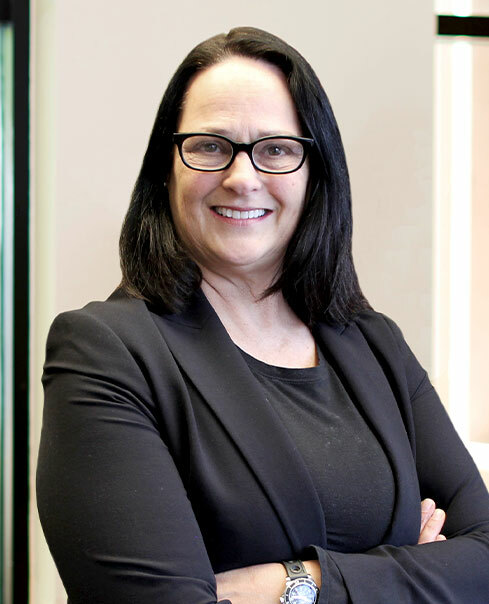 Shelly joined Watts Guerra LLP in 2017. Ms. Sanford evaluates and handles cases involving commercial disputes, complex arbitration proceedings, cybersecurity breaches, real estate development losses and delays, finance and mortgage industry disputes, medical devices, dangerous pharmaceutical products, serious injuries or death, and mass actions. Ms. Sanford has served as outside litigation counsel to governmental entities such as the State of Texas, the State of Oklahoma, the Oklahoma Public Employees Health and Welfare Trust, and the Oklahoma State and Education Employees Group Insurance Board and multiple Texas counties. She has also appeared as counsel in state and federal courts across the United States and has participated in depositions, discovery, and arbitration proceedings throughout Europe. Ms. Sanford has been appointed to litigation leadership positions in New York, Louisiana, California, West Virginia, Texas and Minnesota, including selections to the Plaintiffs’ Steering Committee, Government Actions Executive Committee, Federal-State Liaison, and as Chair Co-Chair, or Member of committees on experts, science, discovery, fee allocation, trials, and administration. In addition to her other professional accolades, Ms. Sanford is Certified in Domestic and International Arbitration by the White Resolution Center of the University of Houston. In 2011, she passed the U.K. Solicitor’s examination for qualified foreign lawyers. In 2018 Ms. Sanford was certified in cybersecurity by the Global Cyber Institute. Throughout her practice, Ms. Sanford has spoken at state bar and legal association meetings, has formed and chaired litigation committees, and has published articles in legal journals on cybersecurity, preemption and pharmaceutical liability. Ms. Sanford has been honored to receive national awards for her work as a journalist for the Austin American-Statesman, as a lawyer for top trial verdicts, and she has received the Mass Torts Made Perfect’s Clarence Darrow Award. Ms.Sanford is recognized at a top-25 mass tort lawyer and top-100 trial lawyer by the National Trial Lawyer’s Association.